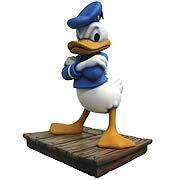 DONALD DUCK'S BIRTHDAY Donald is one of the most popular cartoon characters in the Disney collection. We first saw him in the cartoon, "The Wise Little Hen" on this date in 1934. This duck always has a good heart and good intentions to match. Unfortunately, Donald has a short fuse and when things don't go his way, he often goes ballistic. When you are getting your invites out for this special birthday, don't forget to invite his girlfriend, Daisy and his nephews, Huey, Dewey and Louie. ARKANSAS ADMITTED TO THE UNION AS THE 25TH STATE IN 1836. FUDGE DAY Yumm...FUDGE! Fudge as we all know comes in a myriad of flavors. A great way to celebrate today would be to have a fudge tasting party. Easch guest could be assigned to bring a different flavor, fudge recipes could be swapped. A discussion could ensue as to where the best fudge has been purchased in the past. Any internet sources could be brought up as well. What a sweet idea for a party! Where does the time go? One half of the month of June is already behind us. Let's check out June Celebrations 17 Through 24... before the month is completely over. Click here to exit June Celebrations: Days 9 Through 16 and return to Reasons To Party 2.